At Winnsboro Chiropractic Clinic our Weight Loss Program is unlike any other. It is made up of two distinct and important parts. A series of three to four computerized biofeedback treatments that address digestive sensitivities and addictions you might have followed by an HCG supported low calorie diet. This Phase is made up of three NANO SRT tests and treatments for food addictions and any food or digestive processing problems you might have. If you have cravings for certain foods such as sugar, chocolate, carbs etc. they will be addressed here. 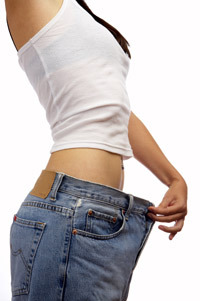 The second part of the program is based on an HCG supported calorie reduction diet. In our office we use an herbal / homeopathic HCG simulator. This is not to be confused with programs that use actual hormones that must be injected daily. Our program causes your body to burn stored fat. The HCG causes the body to release stored fat for fuel leading to a successful diet out come. Our diet plan also leads to the “re-setting” of the hypothalamus thereby stabilizing your new weight so that you are able to maintain your success. Most patients lose between .5 – 2 lbs. per day on this program and the program is available in two durations, 23 days for those wanting to lose between 10-20 lbs. and 40 days for the loss of 20-40 lbs. The diet can be repeated as many times as required to achieve the goal you set. For more information on our weight loss program, please call Winnsboro Chiropractic Clinic at (903) 342-5261.